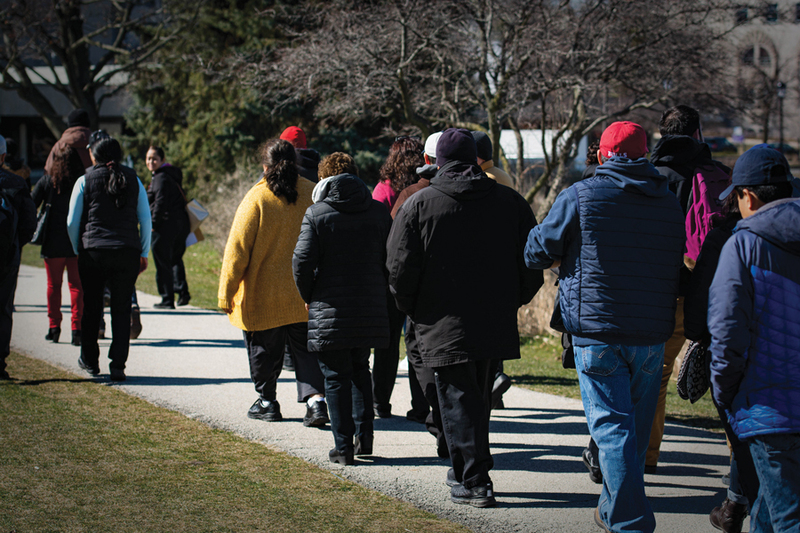 Northwestern’s Sodexo and Aramark employees march in April to present a petition asking the companies to help with the transition to Compass Group North America. A petition calling for Compass Group to improve treatment of service workers has received over 2,000 signatures since it was posted at the end of January. Northwestern’s new food provider and the union representing the University’s service workers have reached an agreement ahead of the upcoming dining transition, dispelling some uncertainty about job security that worried many workers to the point of collective action. UNITE HERE Local 1, the union representing some NU food workers, announced in a Wednesday news release that it met with Compass Group North America last week to guarantee job security for Sodexo and Aramark employees who will be incorporated by the new provider. The agreement also maintains benefits like seniority, health insurance plans, pensions, vacations and sick days, according to the release. Last month, the University said that workers would retain some of these benefits. Jim Roberts, Students Affairs’ senior executive director of division services, hailed the agreement, saying the University has been continuously committed to the continued employment of all campus food service workers. “(The University) is pleased Compass Group and UNITE HERE Local 1 have reached an agreement that will provide for a smooth transition and job security for the workers, who are an important part of the Northwestern community,” Roberts said in a statement. But questions still linger for the approximately 350 workers the union represents. The release did not provide details about the transition process, including what Compass will require of workers. Besides job security, workers expressed concerns about possible participation in drug testing, background checks and E-verify, the federal employee verification program. The release also does not say how long workers’ jobs will be guaranteed, or whether they will undergo a provision period. A spokesperson for Compass was not immediately available for comment. Nonetheless, workers applauded the agreement as an indication that at least some of their concerns will be resolved.